This superb new Cutaway electric/acoustic ukulele from Lanikai has a Fishman Kula onboard preamp system with 3 bands of EQ and a built in digital Chromatic tuner. It also has a NuBone nut and saddle, a laminated Mahogany top, back and sides, chrome open back tuners and it comes in a great quality Lanikai 5MM padded gig bag. 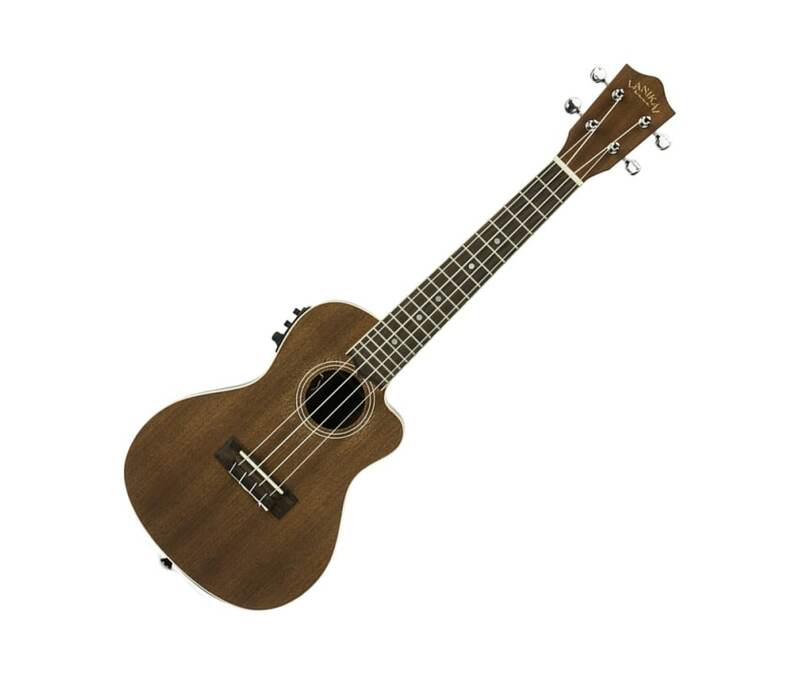 This wonderful ukulele has an amazing mellow tone whether plugged in or unplugged and it has superb tone and playability.